If you have not done so you may find it useful to read the section on House Extensions as many of the same aspects apply to refurbishing your house in particular H H Hilders attitude to building and delivering what you want. 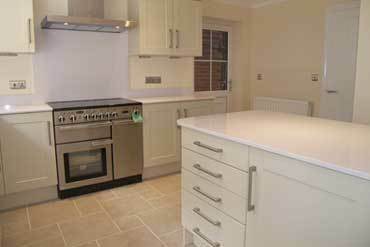 There are any number of reasons why you may wish to refurbish your house. We have carried out many most for their own particular purpose. Perhaps you are happy with the overall amount of living space but just want to reconfigure your house to suit your own requirements. 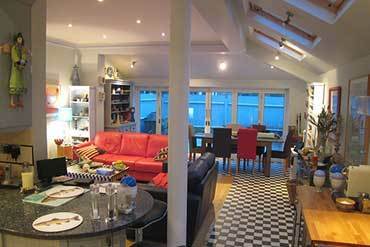 Perhaps you want a larger kitchen area or to create a new study or want more sunlight into your living area. 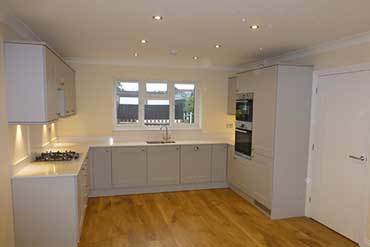 Sometimes in this case you can gain the space you need in the areas you need it with a bit of careful planning and design and therefore avoid the more expensive option of building an extension. It often entails removing walls or even putting in new ones. You may of course simply want to breathe new life into the areas you already have. Whatever your requirements we at H H Hilder can cater for your needs and would enjoy assisting you as much as possible along the way. H H Hilder now on 01252 372671. HH Hilder And Son ©2018. All Rights Reserved.